Two colored patterns have something eye-catching about them. Whether it's a certain optical illusion or just the way colors work with each other, two-colored knits never go unnoticed. 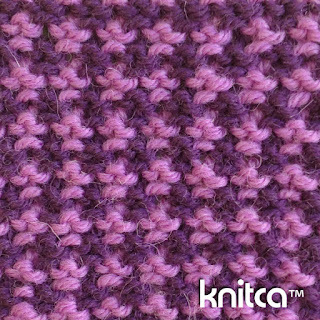 Here's a stitch for you to use on a hat, scarf, wrap or any other knitted garment or accessory. 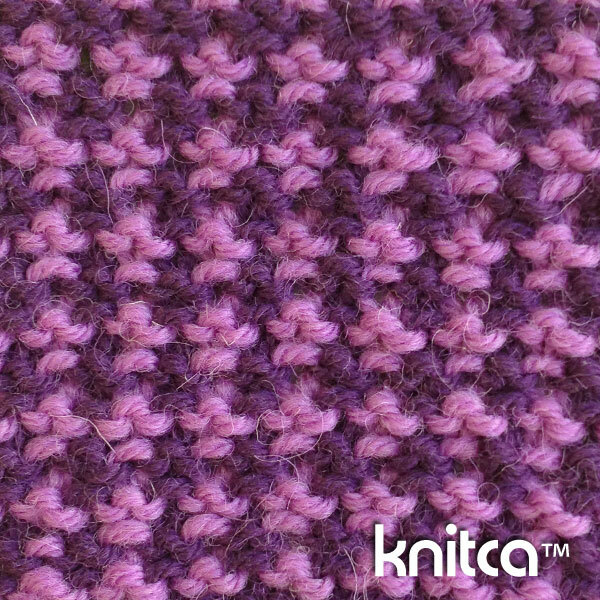 This stitch looks intricate but in fact it is an easy one. Every row is worked with one color and there are even no purl stitches to worry about. Instructions and chart are available in our Stitch Pattern library.